If you think that life can be tough today, think back to when those lucky enough to live on Higgins Beach got their drinking water via a pipeline from Cape Elizabeth! 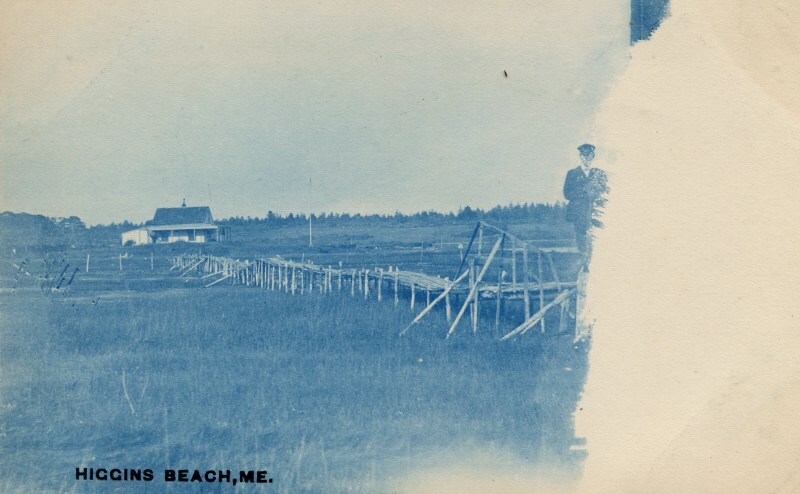 This ramshackle pier system carried a pipeline from what is now the Sprague farm in Cape Elizabeth to the eastern end of Higgins Beach. Unfortunately, I do not have a date on this, and I doubt very much that if I were to walk down to the river I would not be able to get a "today" shot for you either.